What do you think of Dan Kimball's video? Do you agree with him that people are put off by the Church and Christians-but love Jesus? Is this a cop out to excuse the way they live or a genuine reason for not becoming a Christian? You know, I could watch the film again and stop it in quite a few places and respond to what people are saying in it, one at a time, but I don't want to appear to be pontificating. It appears that Zondervan is going to try to make a pitch to these "outsiders" who "appreciate" Jesus, based on the "discoveries" made by Dan Kimball, but from my point of view, it is still just the Church trying to sell the Church. Without seeing their series, I can't guess what they are going to say to these various opinion groups, to college students, to gays, to sophisticates, in short, to the intelligentsia. The intelligentsia, except for the few honest ones among them in every generation, far more prefer their opinions about Jesus to knowing Him personally, which they deem an impossibility. What the Church is going to say to them now is not going to win any more of them over than it usually does, unless of course, the Church ceases to be the Church and becomes, instead, a different kind of net, catching not fish for Christ, but one that instead strangles them and themselves along with them. Back to your questions (and I am talking to you now, brother, as if we were in the same room, sharing together our one mind in Christ, because that's how I feel about you), I would say that Dan Kimball's video does not reveal anything every true follower of Jesus hasn't always known and experienced. I agree with him that people are put off by the Church and Christians, yes, that part is true. In fact, even I am put off by the (institutionalised) Church and by (nominal) Christians sometimes. 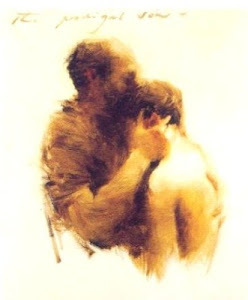 The churches by their divisions have worked against the high priestly prayer of Christ who prayed to His Father that “they all may be one, just as You and I are one”. I believe, however, that the Church has never been divided and never can be, that all true Christians, followers and disciples of Jesus, recognize each other and know each other to be members of the same Body of Christ. Denominational divisions to us are seen as simply the outworkings of human weakness. It’s not a matter of who is right or wrong. As many as put their denominational affiliation before the essential bond of unity in Christ have betrayed Christ. I am not saying that we should have the “I’m okay, you’re okay” attitude about every church that claims to be Christian. I am not now talking about what we think of institutions or doctrinal systems. But what I am saying is, that we who are one in Christ through our faith in Him alone, or rather in the Father through Him, we who have received the Holy Spirit of the promise, and are sealed by that One Spirit into the Kingdom, we do in fact recognize each other, and if there are denominational differences, we would rather look not to them but instead to Jesus, the bishop of our souls and the Author and Finisher of our faith. Does this imperil our souls or put us at risk of welcoming one as a brother who in fact is not? Not at all. You and I know this to be a fact, that when we are with another man who claims to be a Christian, in very short order we are taught by the Holy Spirit Himself where this man really stands, whether he is in fact “one of us”, or whether he is “on the way to us”, or whether he is “working against us”. When I say “us” please don’t infer a triumphal attitude on my part, but as a member of Christ’s Body, the Church, I can say “us,” in the humility of knowing that I am an unprofitable servant, but God can even make use of mud to grant sight to a man born blind, so He can surely use me to witness to His mercy and love. Yes, I agree people are put off by the Church and by Christians, myself included, as I said, because not everything that claims to be the Church is in fact the Church, nor every Christian a follower of Jesus (“those who claim to be Jews but are not, but are of the synagogue of Satan”). In my witnessing, I always warn those who want to accept Christ, that they must be cautious about churches and others claiming to be Christian, but to never doubt the saving work of Jesus Christ nor the unchanging truth of His Word, the Bible. Do these rejecters of the Church and Christians really love Jesus, as they say? As a matter of fact, especially as a matter of history, my answer is No, they do not really love Jesus, only their ideas about Him. You can easily see that from watching the video. They are, as I said at the beginning of this comment, still full of themselves, preferring their own ideas to the objective truth revealed in God’s Word, preached by the true Church down through history to the present day. I am surrounded by people of this sort; we all are. That’s what makes it difficult, sometimes, to carry on. Their sheer number wears us down. Yet we have a faithful and loving Father, God Himself, who sends people to us whom He is drawing to His Son, so that we may witness to, teach and minister to them. He does the sending, we the receiving, that is, if we are faithful. A true Christian is always watching the roads of life for the pilgrim God is sending his way. And God does send them to us. And if we remember that to receive them is to receive the Lord Himself, then we have no choice but to welcome them, doing unto them what He has done to us, being ambassadors of His Christ, and His mercy, telling them the Truth, not selling them Christian wares. “We do not offer the Word of God for sale as some do, but we act as men of integrity,” as holy apostle Paul writes. Your last question, is their rejection of the Church and Christians a cop out to excuse the way they live or a genuine reason for not becoming a Christian? To this I answer, Yes, it is a cop out. When I was a young man seeking God and the Truth, that was the goal of my life, even before I was born again and sought the Church as a home where I could grow and raise my family. Even when the Church is lax and weak, even where it is corrupt, we can still be the Christian that we wanted the others to be, even if we find ourselves the only one. But if we seek God this way, putting His Kingdom first, and His righteousness before everything else, all these other things will be granted to us as well. We have trusted in His word of promise, and we have not trusted in vain. He sends others to us who are like us, who follow Jesus, and we sojourn together, we make our pilgrimage together, shedding light and planting seed where we may, letting God Himself who is faithful give the increase, both inside the Church and outside of it. Our God is a God who alone works wonders and who is wondrous among His saints. This is all so foreign to the lost but wise in their own eyes generations of this world that, giving lip service to their Creator, Master, Redeemer and Lord, by their feigned love they give Him the Judas kiss, and then confirm their rejection of Him by their accusations of the brethren. My brother, Romanos, directed me to this post. And so Andrew, I would like to comment. I can understand the perspective of the individuals shown in this film...in fact I have heard it before, and have been on the receiving end of it. But, these individuals have yet to stand up for Christ, the Son of Man and Son of the Living God. This is the testimony and the Faith, which has now, at the close of these last days, been thrown into disrepute by many in and outside the visible structure of church. They do not see this, nor are they willing to commit with their heart to the testimony of the lamb (at least not yet). You can tell this simply in the way they speak of Him. He is Jesus, a good guy who taught many good things and of which no one can follow His teachings truly. If one puts it like this, it makes it very easy to escape a commitment yet also appear like you 'accept' Jesus. But the Lord Christ Jesus is not just about bread breaking with prostitutes and thieves and murderers (Actually this is not found in the Scriptures, but only that He ate with tax-collectors and "sinners". And a "sinner" was any who was not a observer of the traditions of the teachers of the law or the Pharisee party). But I will give them the benefit of the doubt, because we know that Christ did many other things, and if they were all written down, I'm sure there would not be enough books in the world to fill them. But again, Jesus isn't just a past figure, who had a good social ideology. Nor was He just a misunderstood radical, who died as a martyr, and then some chumps grabbed His story and ran with it and, ta-da! you have Christianity. What is He? This is what every human has to decide. The Church (anyone who testifies about the truth of Him) has always held what is revealed in the Scriptures concerning Him. That He is the Christ, the Mashiach of Yisrael, the Anointed and Promised One told to Avraham. Not only that, but He is Lord, one and the same with His Father. The Father cannot be seen, but the Son has made Him known because the Son is the expressed image of the Deity. He is the One whom Yehezkel saw by the River Kebar who was seated upon the Merkabah of YHVH; whose body was like burning coals (which Isaiah got a taste of, no?). For the undividable Triad cannot be seen, being in the hidden place beyond the outstretching universe. The hidden one, the Son of Man, was revealed, even at the right time, and He, even then, seated on the throne and Merkabah of God, showed what His role was to be: a mediator between Heaven and Earth, the arbitor bridging Holy God and sinful man. Do they know this? Has this been preached to them? Do they understand the deepness of it all; how it does not end, but gets deeper and stronger and greater? Who can confront the Son of Man as He truly is? We should be thankful that He came to us first as one of us, instead of coming in power and wrath in the chariot of God! But He is coming again, and then all will see for themselves; how God should be taken at His word and be respected in fear. They do not realize that He waits on the other side of this veiled world, waiting for the Day when He breaks in on us as a thief. So, the Church (anyone who holds to the testimony of the lamb) must simply proclaim the truth. They need not worry about pleasing individuals and their preconceived ideals. The truth and the Holy Spirit will change their minds and hearts. If they do not want to change their thoughts about Him, then how can they truly accept Him, for unknowingly, they hold to a lie they have received about Him; which is from the evil one. Zondervan is doing what all Christian Organizations do well: muddying the waters and doing nothing really. It is up to us "individuals" to go to those "individuals" and tell them the truth about Christ Jesus: that He is who He says He is and that He is coming swiftly again. Glad you found it interesting. Interesting with FF Bruce's thoughts on Tertullian. Feel free to borrow whatever you want for your blog! Ramanos thanks very much for your long reply. Sometimes I mark essays that are not as long as that! Perhaps |I was unfair and actually misquoted the title of the DVD which should have been 'They like Jesus but not the Church' as opposed to 'love Jesus'. So its not really implying that they actually know all about him-maybe just the pop version, or one of the pop versions of Him. Perhaps I should be more defensive of the Church but I normally try and take criticisms of it(or her)on the chin or even roll with the criticisms and see if they have a valid point. You write:' I agree with him that people are put off by the Church and Christians, yes, that part is true. In fact, even I am put off by the (institutionalised) Church and by (nominal) Christians sometimes.' Because of this this I feel we should give those who say they like Jesus, the benefit of the doubt- by listening to their criticisms and teaching them more about the true Christ. Is it a cop out for not joining the Church? The thing is we will never know until we engage with them. Give them the chance to follow Christ or learn at least what the true Christ is all about.If they finally reject Him, in tears we must let them go. I of course realise there are some who say they like Jesus but not the Church as an excuse not to commit themselves to Him. Again we must engage with them until we realise that it is throwing pearls away,then we must let them go with sadness. I think the Church gives up on the lost too easily.Jesus spent alot of time with people and was rightly called 'the friend of sinners. A challenge for the disciple is to be like Christ, to lose his reputation in order to 'seek and save that which was lost'. I do realise that not all Christians are particularly called to this sort of ministry, but as far as we are given the grace,we should seek to be 'all things to all men' in order that we may save some. I think you probably know me well enough, Andrew, to know that whatever was in my comment, regarding the people who "like" or "love" Jesus but not the Church, that it would never in practice prevent me from witnessing to them, even if I think I know exactly where they're coming from. Some of the people in the film who are being interviewed are just like those that Pilgrim and I have witnessed to in the past. Any educated non-Christian will likely have views just like theirs, and it has always been a starting point for our witness. Their initial attitude has never deterred us. But as you say, at some point it must become apparent that we are casting pearls before swine. Since in our witness we never argue or press any advantage which isn't already inherent in the Word of God, we know when "enough is enough." This is a belated comment, as a lot of discussion has already taken place. Although it may be true that the church may be keeping out people, we must realise that the church has its own struggles and is also trying to grow itself. How many people are rooted and grounded in the Lord Jesus to used by Him in the world? Most of us are not well equipped to be able to confront the world and give them the answers. However Jesus was able to and remember too that He waited 30 years to start His ministry. To say Jesus spend time with sinners which is true but to say we could also do the same may not necessarily be hold since we might be equipped as He was, remember too His Father was with Him. The world would like the church to conform to its image, in many things the church is being challenged on its stand for example, the homosexual would like for the church to say to them yes its Ok what they are doing, the women would like equality although they have full equality in Christ Jesus, and the lsit could go on. Scripture to our Lord Jesus was mportant and He came to fullfil it and says that it can not be broken. We should go into the world with this in mind so change it to conform to God and not for God to conform to it. Christ Jesus Himself says that He did not come to abolish the law but to fulfil it and the letter of the law will remain forever. We must also realise who is the God who we serve, He is the God of Israel although slow to anger and full of mercy and love He will not tolerate sinfulness and a compromise of His standards. You only have to read the Old Testament to see how awesome He is and how He dealt with sin and people that broke His laws. Yet in Jesus He has shown His mercy and love and is calling us to reconciliation through His Son. However this mercy and love should not be taken for granted and the church is to be careful not fall into compromises with the sinful world. It therefore needs a lot of wisdom and His guidance to go out into that world that as you say is complaining about the church. We must remember too the devil is real and he is in the world like roaring lion seeking who he may devour. You will also notice how seriously the early church sent their missionaries into the world - by prayer fasting! How many of the churches are doing that today and how many of the missionaries have been sent that way. Yet this is the same world we live in today as it was then. The only difference is we are in the 21st century and think we have grown the wiser because of our technology and the much accumulated knowledge about things. It still is a dangerous world out there and need His strength and guidance. Christ told His disciples to wait for power from above. So those of us who go into the world need the Lord Jesus to us, this is the only way we can succeed. However if we refer to the ordinary Christian I believe if each of learned to abide in Christ as Christ wants us to people will see Christ in us and be attracted to Him and therefore to the church. I totally agree with you Dzengo: I could easily have written the same words!